When it comes to relaxed travel, few things can compete with taking a cruise and when your trip takes in some of the world’s best eco locations too, then you have to be onto a sure-fire winner! With the rise of eco-tourism, a growing number of cruise lines feature specifically tailored cruise deals aimed at the green traveller, making selecting the ideal get-away – whether you’re looking for just a few days or something much longer – increasingly easy. From family friendly travel to out-and-out adventure, cruise travel has never been better. There is no shortage of destinations for the eco-friendly traveller and some of the finest locations on the planet regularly feature on cruise ships’ itineraries, including the Galapagos Islands, Alaska and the Sea of Cortez. Depending on how far you want to sail away – and aboard what kind of craft – from cruising the Hebrides watching basking sharks to enjoying the wildlife of the Pacific islands, there is sure to be something to suit every taste and bank-balance. Many of the mainstream cruise destinations can also provide their own eco-interest, be it wildlife, geology or cultural, particularly if you venture even a little off the beaten tourist track. Even the most familiar of Mediterranean ports has its own hidden secrets waiting to be explored, so it’s important to keep an open mind, do a bit of research ahead of time – and then be ready to see what unfolds. It is often surprising how close and accessible much of the “real” land can be. Traditional cruises have always offered the opportunity to experience the natural world, often through optional shore excursions to particular beauty spots or areas of particular significance. Blending the luxury of the big cruise ships with the chance to follow your green interests, a well chosen package from one of the established cruise lines is worth considering as an introduction to this kind of holiday travel. It is important to be aware, however, if you are tempted by this, that the cost of shore excursions is seldom included – so remember to allow for the additional cost. Alternatively, you might prefer one of the more specialist expedition cruises. These offer a highly focussed experience, with a well-qualified leader – usually an expert in the flora and fauna of the areas being visited – and an extensive lecture programme to help you get the most out of your trip. The vessels used are typically smaller than the normal cruise ships – and accordingly the facilities less extensive, but the whole adventure tends to be all the more direct and personal as a result. With cruises being such a popular way to spend a holiday, unsurprisingly there are a lot of sources of information to help you pick the right one. 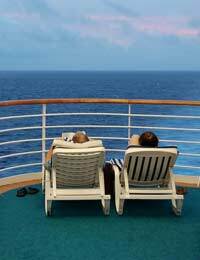 Many travel magazines have cruise reviews – and there are dedicated cruising publications both in print and online which can be extremely useful when it comes to planning your own cruise vacation. In addition, all the usual considerations apply, so don’t forget to check the cruise line’s eco-credentials and environmental policy. Any genuine operator purporting to offer eco-friendly travel should be fully expecting – and more than willing – to answer those sorts of questions. Like all sectors of the travel industry, cruise lines have met with their share of criticism over their environmental performance. While they may not yet be perfect, the best of today’s cruise ships are equipped with a range of measures designed to lessen their impact on the seas they sail, including sealed water systems and advanced waste handling. As a method of long distance travel, they remain hard to beat – assuming you’re not in too much of a hurry – and as a relaxing way to visit some of the world’s less accessible eco locations they offer something which few other methods of transport can even begin to rival.